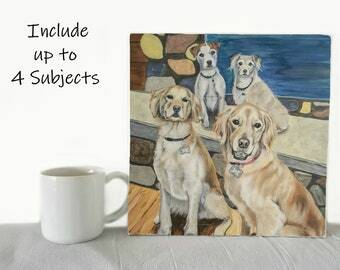 This listing is specifically for acrylic on canvas paintings featuring more than one animal, or more than one image of the same animal. 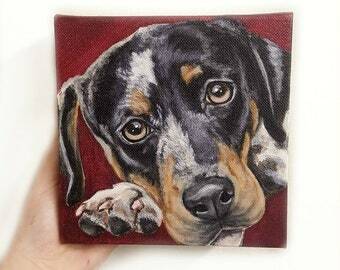 For a regular single animal (lower price) pet portrait, please visit my shop and see other listings. 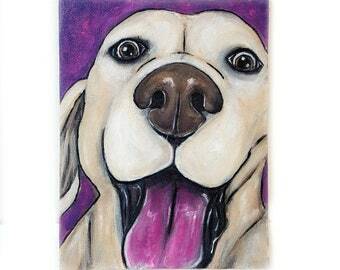 Vivid colors, sharp lines, animated expressions with lively energy - let me paint your pet! 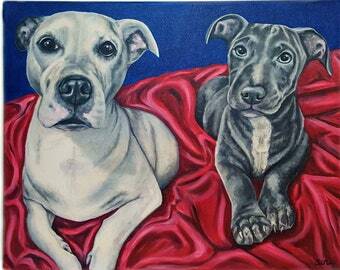 My Pet Portraits are custom-made and one-of-a-kind. 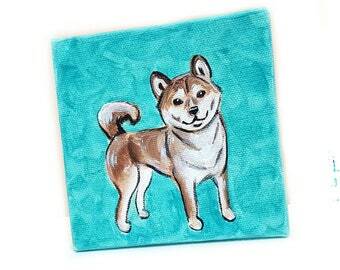 Each painting is free-handed without any pre-drawing, stenciling, or digital aids. This technique creates a uniquely animated and colorful style that values personality over photo-realism. The process is simple: just send me a few pictures of your beloved companion(s) (the more, the merrier!) so that I can get an idea of the individual quirks that make your lil' buddies special. 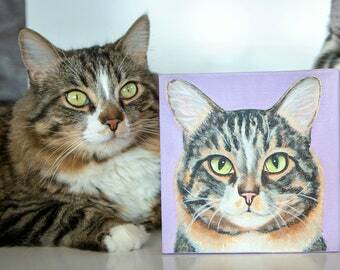 Please note- both animals do not have to be in the same picture for me to paint them together on canvas. 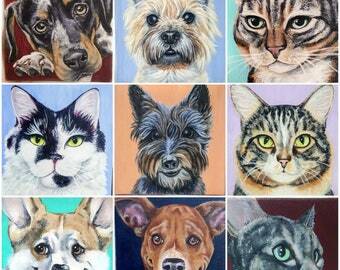 You may send individual photos of each animal, and I will paint them in the same space. If you have any specific requests (i.e. include a favorite toy or place in background), just let me know! 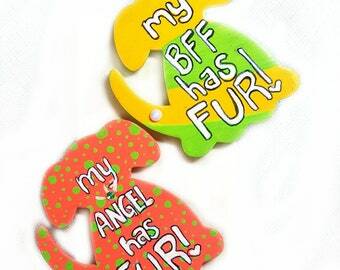 We will work together to create the perfect keepsake for you. Please allow 2 - 6 weeks (depending on portrait size, project complexity, and current work load) for me to complete your order. 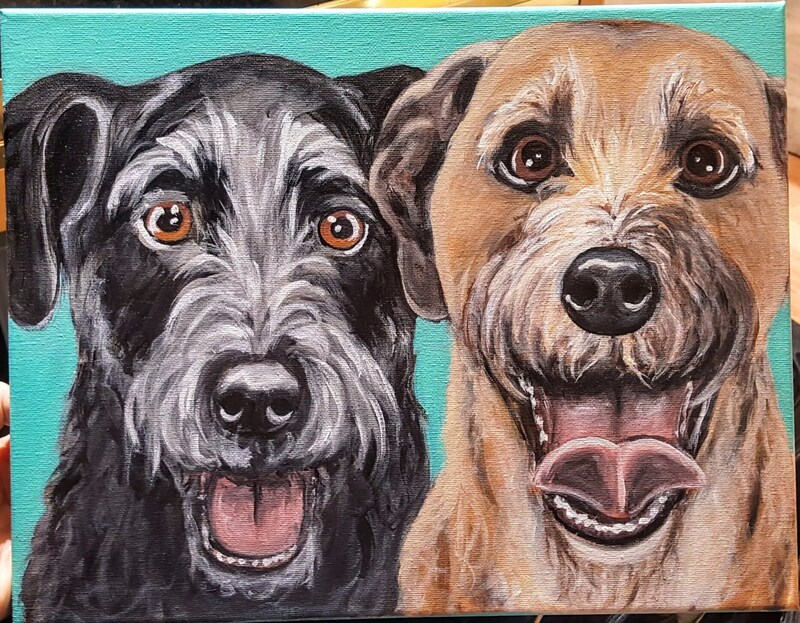 The prices listed are for 2 animals on one canvas. 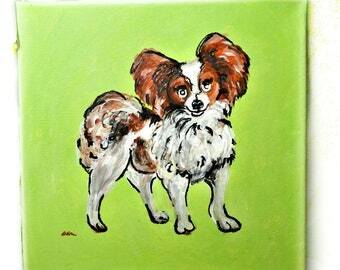 Additional pets on the same canvases may incur more fees; please message me for details prior to purchase. 1.) Before or after purchase, please send 1 - 3 photos of the animal(s) in natural lighting. The better the photos, the better the painting. 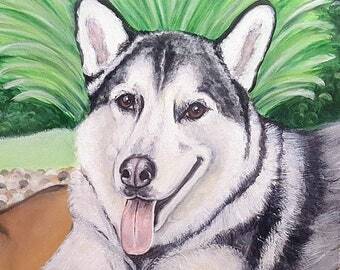 (please note that I cannot start your painting until the photos are received, so the faster you send them, the faster you will receive the final product). 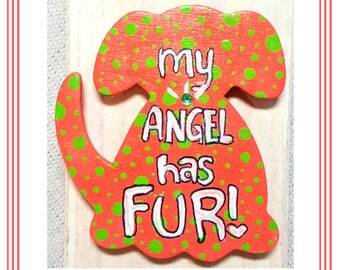 You can send the photos via Etsy Convo, or via Email (HoundMadeGifts@gmail.com). 3.) If you do not respond to my email asking to approve of the final painting within 1 week, I will assume that you approve and ship it without making any changes. 4.) 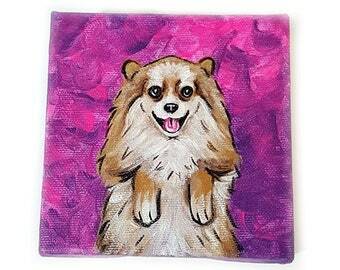 PLEASE NOTE THAT CUSTOM ORDERS ARE FINAL AND NON-REFUNDABLE ONCE THE PAINTING PROCESS HAS BEGUN. 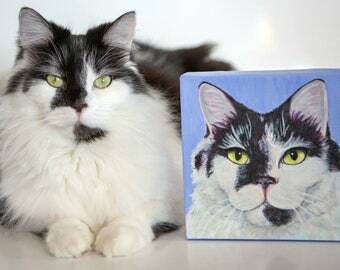 In the case of this item, once I receive photos of your pet & you've purchased the listing, the sale is finalized. 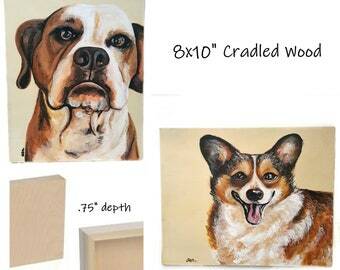 To see behind the scenes progress shots of past paintings, check out the HoundMadeGifts instagram page!